With over 1000 frames in stock, we have the right look for you! Cherry Hills Family Eye Care. Selecting your eyeglasses is a very personal choice. A wide variety of options are available that can be tailored to suit not only your medical needs but also your fashion preferences. Highlight your features, play with color, and augment vision for different functions such as reading, driving and playing sports. With all the choices available, the experience can be daunting without the right guidance. Cherry Hills Family Eye Care makes the choice easy. Design, material, and treatments are the three components that make up a pair of prescription lenses. It is important to select the right combination of these elements for your particular visual needs and to always consult your eye care professional. The knowledgeable staff at Cherry Hills Family Eye Care will consider long-term wearing comfort, style, features and function when suggesting a new pair of eyeglasses. The eyeglasses become as unique as the person taking them home. Selecting the right eyeglass lens depends largely on its function. 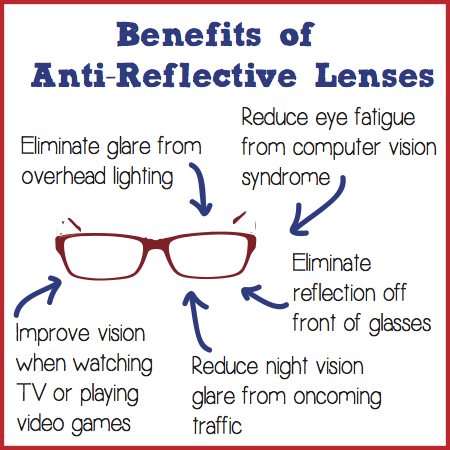 From single vision lenses to progressive lenses, we are happy to help you find what best suits your needs. Regardless of your situation, your eye care provider can help determine what types of lenses will work best for you in terms of comfort, function, and design. With the wide variety of lens options available, you can customize your sunglasses to meet your visual, protection, performance and comfort needs. Sunglasses protect your eyes from harmful ultraviolet (UV) radiation, which is present even on cloudy days. 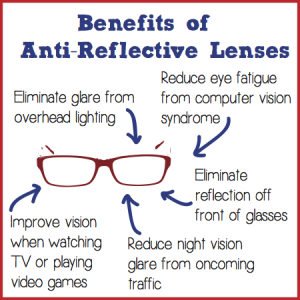 Quality sunwear provides 100 percent UV protection and can significantly reduce the risk of vision problems caused by sunlight such as cataracts and retinal damage. Lenses and frames are a very necessary and personal choice. Cherry Hills Family Eye Care has the experience to guide you toward eyewear selections that are comfortable and that work to complement your face. For help, schedule an appointment with your eye care provider and we’ll be in touch with you shortly.